If ever there was a song to perfectly describe Kristin Billerbeck’s book, The Scent of Rain, it would be “Bless the Broken Road” performed by Selah. The Scent of Rain is the story of Daphne Sweeten, otherwise known as “the nose.” She earned her title because of her exemplary work in the perfume making business. She was able to identify any scent, anywhere and liken it to honeysuckle or any other natural element from nature. But when the man of her dreams breaks her heart, leaving her at the altar, dressed in a designer gown on her wedding day, the trauma sabotages her sense of smell. She goes from differentiating from hundreds of scents to smelling…nothing. It is a devastating realization for Daphne and she starts to retreat from the world. If it weren’t for her best friend Sophie and her new boss with a big heart, along with a few other special people who she meets along the way, she may have ceased to exist. Sophie is, a professional psychologist, is the voice of reason for Daphne throughout this book. Jesse, Daphne’s big-hearted boss, saves her life more than once in this story. Surrounded by new settings (Dayton, Ohio), new colleagues at her new job (Gibraltar Products) and a few people who genuinely care about her, Daphne starts to rebuild her life. But by no means is it easy! She left her dream job in Paris, France to move to America and marry who she thought was her dream man. But after Daphne’s love life seemingly ends forever when her man doesn’t show up to their wedding, a new day for Daphne dawns as a result, and slowly but surely, she comes full circle in her internal and external journey. 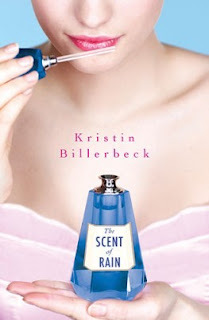 The Scent of Rain is a delightful, skillfully written story! I enjoyed every page, loved every (good) character, despised the character who caused Daphne pain, laughed at Sophie’s sense of reality laced with humor and “smelled” the scent of rain! All thanks to Kristin Billerbeck’s engaging writing style and her editors who really made this story flow. Honestly, The Scent of Rain reminded me of a movie! A movie that I have not seen but would love to! Seriously, this book needs to be born again on the big screen. I believe that I would touch and inspire so many people not just because of the brilliant storytelling, but because of the way that threads of faith are weaved throughout this beautiful story of hope and redemption. The Scent of Rain reminds me of how God never gives up on us. It shows me how His “perfect love casts out fear” and it gives me hope that no matter what you may face in life, there’s always going to be a better day when you trust in the Lord. Five stars and a big “bravo” for Kristin Billerbeck for writing such a lovely story that’s relatable, riveting and sweet. *The author provided Alexis A. Goring with a complimentary copy of "The Scent of Rain" in exchange for an honest review of her book. “We are people of faith,” was the declaration given to the doctor when he suggested removing Dorian from life support. It had been nearly a year since the motorcycle accident that taught each person gathered in the room the meaning of love, faith, and hope. The room was filled with family and friends. After giving glory to God, Dorian’s grandfather acknowledged that if doctors had had their way, “We would be observing the one-year anniversary of his death instead of celebrating his 23rd birthday." Throughout the day I watched in awe as Dorian prayed, thanking God for his mercy while acceding to the plan he knew God had for his life. He sang spontaneously, laughed, told jokes, and culminated the day’s events by walking with assistance across the room to shouts, applause, and many tears. This day would not have been possible without the unfailing love of God, our Father and His precious Son, Jesus—Jehovah Rapha, the lord who heals you. I thought back to the early morning call I received from my daughter. “Mommy, wake up! Dorian’s been in a motorcycle accident…,” she wailed into the phone. I listened in horror as she explained how her best friend since childhood was near death. His injuries were extensive. In addition to incurring a brain injury received on impact, he had broken his neck, arm, and leg, his lung had collapsed, and his eye socket was crushed. After consoling my daughter with the word, I hung up and earnestly began to pray. Love compelled me to pray with an urgency and fervor I had yet to experience in my lifetime. I prayed based on God’s promises given in his word. “God loves Dorian more than any of us ever could,” I told myself. I was comforted. 3 John 1:2 (KJV) tells us, “Beloved, I wish above all things that you mayest prosper and be in health, even as thy soul prospereth.” This meant that God wanted him to live. The most incredible act of love was watching Dorian, who in spite of his own circumstances, reassure a new patient that brighter days were ahead. There were similarities with their lives and injuries. The young soldier, like Dorian, had served his country; he was in the Army and Dorian was in the Navy. He sat in a wheelchair as his body appeared painfully contorted. Without the ability to speak, his hopelessness and sadness spoke volumes through his eyes. “I was just like you,” Dorian said from his own wheelchair. “You are going to walk again. I know you can do it.” I watched as he stuck out his fist and patiently waited for the young serviceman to touch it with his own. After attending church with him the next day, my family and I began the trip from North Carolina back to Virginia. I rode home with my heart so full of God’s overwhelming love. I know we went to celebrate Dorian’s birthday but I felt that I was the one who received the gift. There is still an uphill climb towards total restoration. But I know he will reach his goal of walking completely on his own and not needing a wheelchair by his 24th birthday. Knowing God has an expected end for Dorian produces the hope needed to fuel our faith during this journey. Tawnia L. Ramirez was born in Brooklyn, New York. She spent her formative years between homes in Roanoke, Va. and Brooklyn. She earned a B.A. in Political Science from Saint Paul’s College in Lawrenceville, Virginia. Ramirez is a contemporary Christian fiction author who believes that reading should be an unforgettable encounter. Having shared some of the experiences some of her characters have encountered, she has the innate ability to reach people on a personal level by transforming her readers so that her characters’ experiences become their own. It is her goal to share the Word one story at a time; specifically as it relates to women and the issues they face by creating real stories that every reader can identify with during each stage of their lives. In her debut novel, she skillfully takes her readers on Janaye’s tumultuous journey to find Something More Than This. 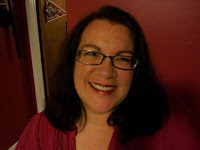 Tawnia has been a member of American Christian Fiction Writers (ACFW) since 2008. She was named Best New Christian Author in 2009 by Christian Storyteller. Tawnia and her husband currently reside in Virginia with their three daughters. She is currently working on her second novel. To schedule Tawnia for a book club meeting, interview, reading, book signing, or other appearance, e-mail her at this address, contacts@tawniaramirez.com. “The years passed…” (Genesis 17:1, Clear Word) It is here, at the beginning of Genesis 17, that we find Abraham waiting...and waiting for the fulfillment of God’s promise that he would have a son; and through this son, descendants as numerous as the stars in the sky (Genesis 15:4-5 NKJV). However, from Abraham’s perspective there seemed to be a few wrinkles in the plan...literally. Abraham was 99 years old, and his wife Sarah was 90, well beyond childbearing age. The prospect of offspring, much less the hope of descendants as numerable as the sand, seemed impossible. Seven years ago, I similarly found myself frustrated by my own series of failures and deferred dreams. “The years passed” and took my hopes with them. A setback in my pursuit of becoming a lawyer brought my career aspirations to a screeching halt. I tried desperately to redirect, but door after door continued to slam in my face. A couple bad relationships and friendship drama left me feeling broken. Have you ever looked at your life from a panoramic view and thought, “this is not where I expected to be at this [insert appropriate time parameter]?” But there I was. Like Abraham, I was frustrated waiting . . . and waiting for the fulfillment of God’s vision for my life. But while Abraham waited, God appeared. “ . . . and when Abram was ninety-nine years old, the Lord appeared to him, saying, ‘I am the Almighty God.’” (Gen. 17:1, Clear Word). God introduced Himself as “El-Shaddai” in the Hebrew. Some theologians translate it as, “The All-Sufficient God.” The message was clear and the reminder was timely. The Almighty, All-Sufficient God could do, and would do everything that He had promised. When God first gave Abraham this promise, many years before, Abraham believed (Gen. 15:6). However, as “the years passed” Abraham’s faith began to waver. In fact, we find Abraham deciding to help God along and [insert Ishmael]. How many times do we waver while we are waiting? I did. And I found that the choices I made with wobbly faith only served to prolong the promise, rather than hasten it. When God showed up in Genesis 17 to reaffirm His promise to Abraham, it was humanly impossible for the promise to be fulfilled. Only God could bring it about. But it is here, in the great gulf between God’s promises and human circumstances that we [insert faith]. It is here that El-Shaddai, the Almighty, All-Sufficient God, shows up to remind us that nothing is too hard for Him (Gen. 18:14, NKJV). In my story, God showed up. Through the loving encouragement of friends and family, I was reminded that God is “El-Shaddai.” He is the Almighty, All-Sufficient God and nothing is too hard for Him. I put the broken pieces of my life, my deferred hopes and dreams, into His hands and decided to trust Him completely to fulfill His promises. And not only did God begin to restore the broken pieces of my life, but He did much more – more than I could even think or imagine to ask Him for. In May, I walked across the stage of Liberty University School of Law and received my law degree. From a human perspective, this prospect was an utter impossibility. But El-Shaddai! Moreover, the journey to this point has been replete with miracle after miracle. Through the process, I have gained a deeper fellowship with my Savior. My faith has increased as I’ve watched God move mountains in my life and in the life of others in answer to prayer. I have formed lifelong friendships and been blessed with wonderful ministry opportunities. My longing desire is to draw closer to my All-Sufficient God daily and to be used mightily by His Holy Spirit. Perhaps you are in a chapter of your life that begins with “and the years passed.” The fulfillment of God’s promises seems utterly hopeless. From all perspectives, it is humanly impossible. [Insert faith here.] Resolve today to trust the Almighty, All-Sufficient God to bring about what He promised. Nothing is too hard for Him! He did it for Father Abraham. One year later, a ninety-year-old Sarah gave birth to a son. He did it for me! And He’ll do it for you too. [Insert faith] and watch God work. 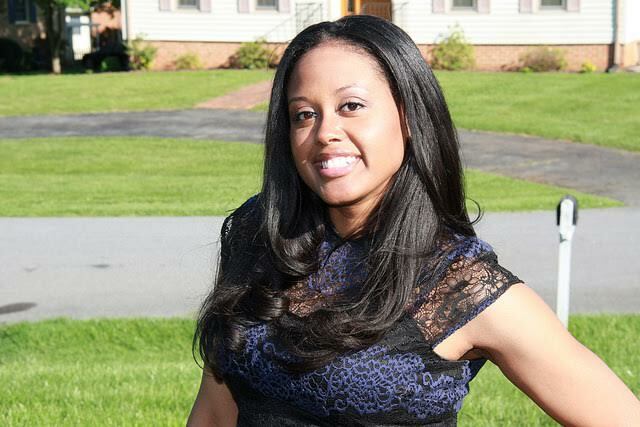 Cheryl Cathlin recently finished law school and is currently studying for the July 2016 Virginia Bar Exam. She is from Virginia Beach, Va. but currently resides in Lynchburg, Va. She enjoys hiking, writing and participating in ministry. You get the picture. Not pretty. Not a tragedy. Not even close. Just a bad mood day. But mighty ugly. I had just finished a month of fasting that was so amazing. God taught me so much during that time and I was learning to trust him in a deeper way than ever before. I felt like I’d accomplished something together with God. And now this. No huge obstacle or terrible thing to challenge my trust in God. Just a really bad mood. I sat down that morning, partly because it seemed dangerous to keep moving around, and partly because I felt so defeated. By my own mood. How ridiculous. How immature. How very sad. Then God spoke to my heart. Invite me into this day. Into this mess. Invite me in. So I did. I repeated the prayer I’d prayed so often during my fast. It doesn’t feel good or right. It doesn’t even feel like you’re there. BUT I CHOOSE TO TRUST YOU. My bad mood lasted all day. Everything irritated me and I have no idea why. But God was there. Right in the middle of my mood and my mess. He didn’t fix it. He didn’t even fix me. He just walked with me that day because I shared it with him. Over and over that day my thoughts turned to God and I knew he was there. He wasn’t intimidated by my bad mood. I vented all the way to work and all the way home. He listened. He didn’t change anything that day, but he never left me. And that changed me. It made me grateful. We are so quick to pick up the phone and call or text a friend or our family when we’re having a bad day. We Tweet and post on Facebook as if the world really cares and wants to hear it. We invite everyone in except the One who can and will stick with us in a way no other mortal being can. I’m not saying we shouldn’t share with our friends. They are gifts from God to walk with us through life, but God wants that privilege first. God is there for the tragedies of our lives and that’s when we are quick to call on him. But he wants to be Lord of our bad mood days, too. I was guilty of thinking that since it was my mood it had to be my fault, therefore God had to be disappointed in me. I metaphorically sent myself to my room without supper until my attitude got straightened out. The problem with that is, I was cutting myself off from the very One who could change that attitude. He didn’t let me get away with that this time. He gently pushed his way into my bad mood day and simply lived it with me. Now I find myself on those days saying, I don’t know what’s wrong with me today but I’m glad you’re here with me. I also realized that the only thing about that day that could separate me from God was me. It is a powerful thing to build that kind of history with Jesus. If we practice that on good days, and on the bad mood days, when the big challenges come we will be ready to trust Him with those too, with a deeper trust, and a deeper knowledge of who he is and why He does what He does. It’s not about doing anything for Him. It’s about living life with Him. And that is the sweetest thing of all. 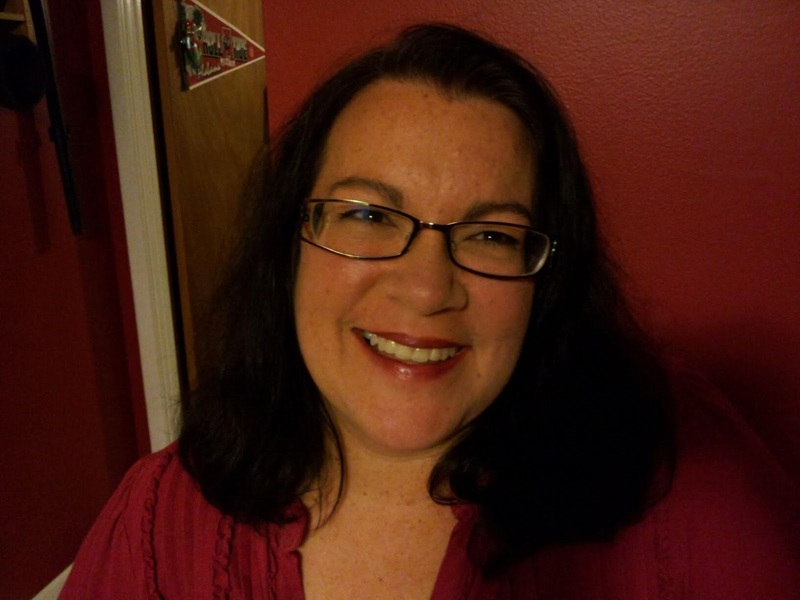 Sherri is a social worker by day and a writer by night. Her debut fiction novel, Sacred Ashes, was released last year and is available through Amazon and Barnes and Noble. More fiction and some non-fiction inspirational books are in the works and she is looking forward to finding God’s purpose for her next fifty years. King Jehoshaphat, one of the few godly kings in the line of David, had the pagan nations of Moab and Ammon breathing down his neck. In faith, he prayed that Yahweh would help him defeat these enemies. God promised to lead, provide, and care for his people if they would stick tight to Him. Failure to do so inevitably brought trouble. Read the Book of Judges for the horrendous result of disobedience. But when they obeyed, the Israelites rode the crest of God’s promises. Why am I here, living in Haverhill, Massachusetts? God could have plunked me down anywhere in the world. But He chose to let me land in northern New Jersey with an average family and an above-average IQ. I did well in three schools, married well, bore three wonderful kids, and attended church all my life. These are the outer, human aspects of my life—the physical clothes I wear, so to speak. A benign context, yes. But whose way would I choose in that context—God’s or my own? Marriage became my first “battlefield.” Jim and I locked horns repeatedly, with no hope of persuading the other of the “rightness” of our own positions. We would sit, staring grimly at the darkness. But then would come a moment of choice. Okay—can’t fight your way out of the problem? Try an apology. Back down. Refuse to fight. But apart from the occasional World War, we’re often annoyed and quick to spout mean stuff. A really nasty wife is hiding inside me, and if I said everything that comes to mind, we’d likely be in divorce court. I don’t want to be nasty, though, and my antidote is God’s inner clothing that gives me access to his grace, forgiveness, and joy. Bite back that ugly rejoinder. Don’t give in to the urge to fight. I can be a good wife if I stick tight to my Lord and keep my mouth shut. Jehoshaphat’s God is my God in a very real battle. I am also a writer, desiring to link others with the God who cares and provides. It has not come easily, though. Wanting to write is a far cry from getting published. Case in point: My book, The Stones: A Novel of the Life of King David, took at least 15 years of research and writing, along with the hunt for a publisher. Had good endorsements, but no one wanted to take me on. Enter God. An interim pastor returned and asked if I had found a publisher yet. He whipped out his son’s business card as a contact for Whitaker House. My second novel with Whitaker House seemed doomed at the start, but again, God provided an unusual circumstance to make it happen. Another novel is once more in the waiting room, and total trust is my best and only resource. I’m getting long in the tooth—an expression that comes from telling a horse’s age by the length of its teeth. I have chosen to fix my eyes ahead, rather than on now or ago. Worship has special meaning for me. I study the Psalms, Ezekiel, Revelation, glorying in that ringside seat on the Real Life and Action of heaven. One foot here, the other there. This sustains my faith walk with God. My basic job here is to sing the beauty and glory of the revealed I AM. When life’s challenges seem insurmountable, it’s time to look up. Praise God for the splendor of his holiness! Give thanks—for his love endures forever! Ellie Gustafson began thinking up stories at a young age but did not begin writing and publishing until 1978. 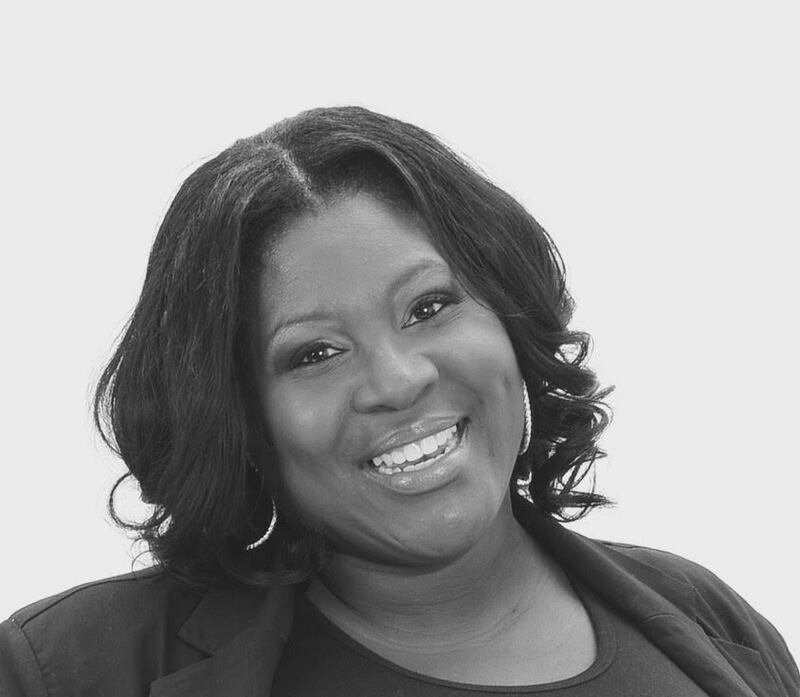 A graduate of Wheaton College in Illinois, she has been actively involved in church life as a minister’s wife, teacher, musician, writer, and encourager. 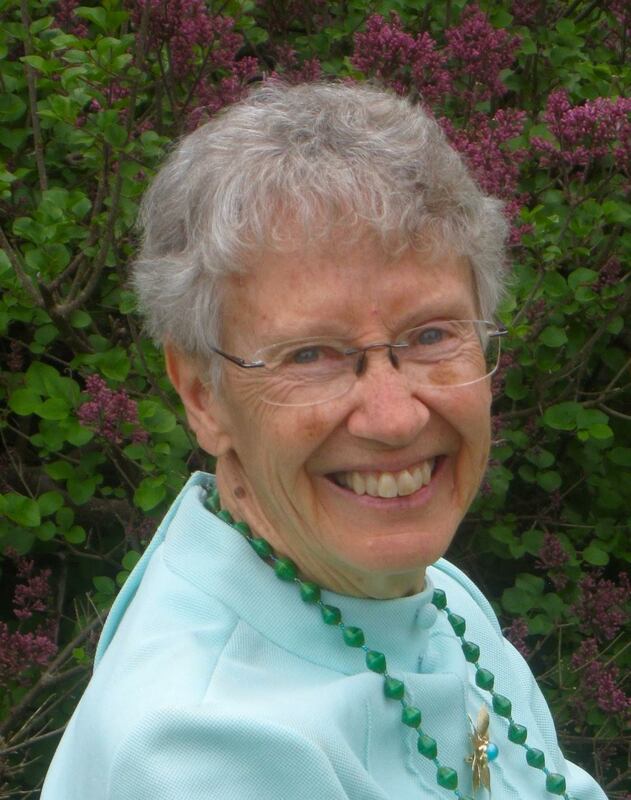 Additional experiences include gardening, house construction, tree farming, parenting, and mouse wars—all of which have helped bring color and humor to her fiction. I’m referring to a recent personal directive I received from the Lord with this handy acronym attached to aid in my short-term memory loss where spiritual life is concerned. TNT = Trust and Thankfulness. Two-fisted marching orders. I’m to walk through each day with Trust in one hand and Thankfulness in the other, regardless of what the day may bring. If I keep one in each hand, I can’t pick up worry or doubt or fear. It’s a simple decree that takes a load off my heart if I let it, much like a similar realization I had years ago in a hospital. Evening slipped down the pale green walls of the room where our son lay following a motorcycle accident. I shifted in the stiff, plastic chair and watched Jake’s eighteen-year-old body fight to heal itself. And I was furious. A week earlier Jake had wrecked a friend’s motorcycle on a gravel road near our home in southern Colorado. The friend never came to see him; neither did the boy’s parents. No phone calls, no cards. The disregard cut deeply and I clung to my anger as tenaciously as Jake clung to his life. In the emergency room the night of the accident, Jake had cried out to his father and me to lift his head. “Just for a minute, Mom. Please, lift my head!” EMTs at the scene had taped him to a body board to stabilize his neck. Unknown to the ER doctors who refused to medicate him for fear of masking injuries or symptoms, the tape around Jake’s head pressed an open wound to the board. I longed to cut the tape and relieve his agony, but I knew it could result in paralysis. Due to summer thunderstorms that downed the Flight for Life helicopter, we waited three hours for a mobile trauma unit to arrive from the Pueblo, Colorado, hospital thirty-five miles away. Gravel pitted Jake’s back, hips, and face. The accident had cost him his right eyebrow, fractured his skull, and shut down his kidneys. He was nauseous, delirious, and hateful—all common symptoms with a head injury, doctors said. My husband and I took turns staying with him. We couldn’t leave him alone, and my anger festered. As I tried to sleep in the chair that night, Jesus spoke to me—not audibly, but undoubtedly. God knew I was angry; He knew I hurt more than I had ever hurt. But He also knew that if I clung to the anger it would destroy me and maybe even my son. Only God could keep Jake alive and heal his injuries, and He did exactly that. Jake recovered quickly, earlier than the neurosurgeon expected. The Lord indeed lifted his head—and mine from the death-like grip of anger. Today as an author, I am intrigued by the poetic power of “three,” the trinity-like beauty of three images, metaphors, or examples. But God knows I need a two-fisted faith—something I can hold in each hand—and I praise Him for showing me the power of TNT. 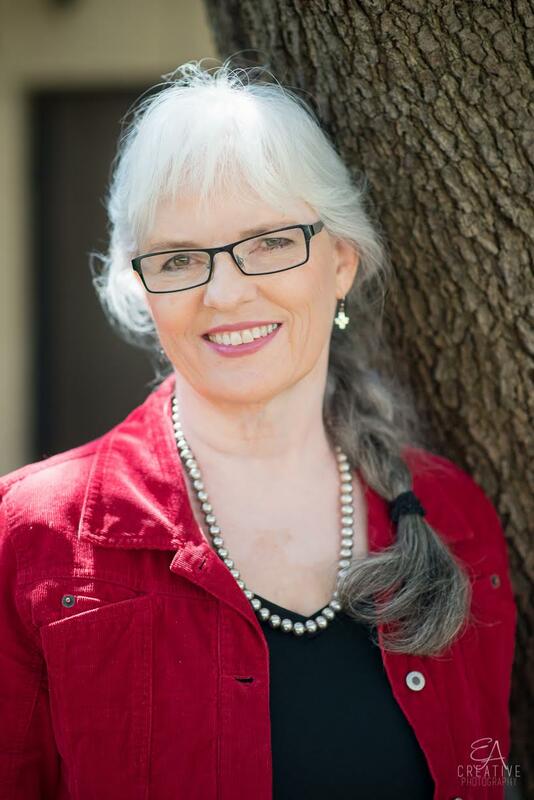 Award-winning author Davalynn Spencer writes bestselling inspirational Western romance and teaches writing at Pueblo Community College. Her novel, Romancing the Widow, won the 2015 Will Rogers Gold Medallion Award for inspirational Western fiction, and her recent release, The Cowboy's Bride, was an ECPA and Publisher's Weekly bestseller. Davalynn makes her home on Colorado's Front Range with a Queensland heeler named Blue and two mouse detectors, Annie and Oakley.